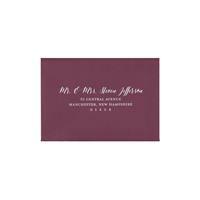 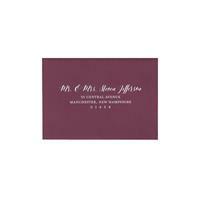 Let us print your address on the front of all of your RSVP envelopes. This is the most common printing of RSVP envelopes. 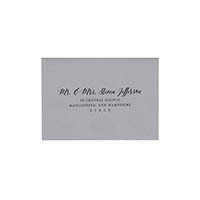 Sending a card in a RSVP envelope and hand writing the front addresses? 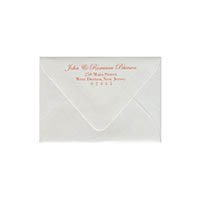 Let us print the return address on the back of all of your RSVP envelopes. Save your hands, We can print it all! Let us print the return address on the back of all of your RSVP envelopes and print all of the recipent adresses too! Just select your options and uplaod your list. Great for Thank you cards.